Hello~ I took an unplanned, extended break from posting as a result of a super hectic August: my brother got married, I crammed for a final (results TBD), and came back to the office from "vacation"--quotation marks because it was hardly relaxing--to a mountain of work. Anyway I am back and have had a couple full nights' of sleep under my belt, so I'm ready to attack my backlog and all that again. 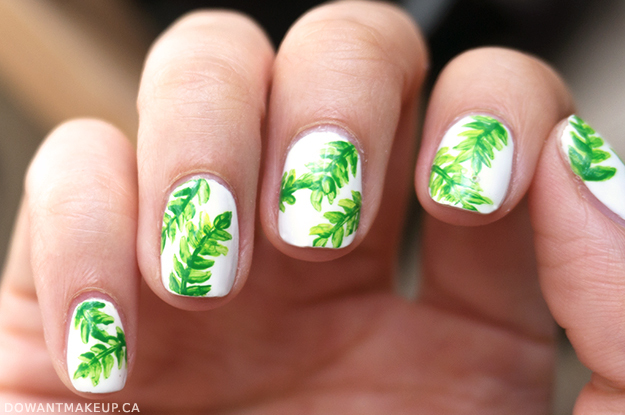 I'm easing back into things with a quick nail art post! These were for an IG nail challenge that I ended up just not being able to stick to. The prompt was "leaves" and I really like how they turned out. I love even more how easy it was to do. 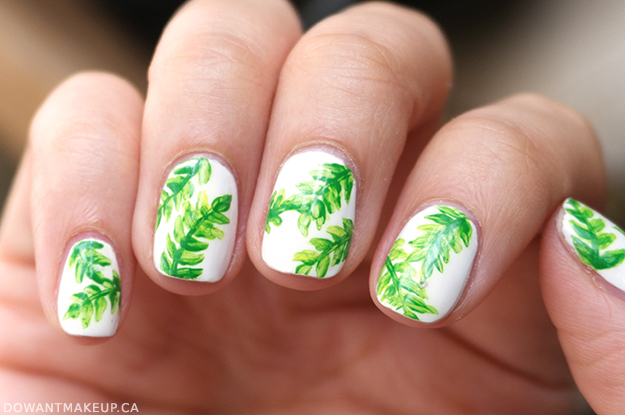 I used Formula X by Sephora in White Matter as the base, and used bright green and yellow acrylic paints for the leaves. Seriously, all I did was randomly dab a fine brush into a bit of green, a bit of yellow, and the brush strokes did the rest of the work. It created a very pretty, painterly effect. Super easy. Try it! Hope you're having an awesome Friday!